Steven W. Dunn: "Artum Garden Reflections (at Arbor Acres)"
"Artum Garden Reflections (at Arbor Acres)"
Hello Steven, I was stopping by to have a look at your blog and thank you for your very kind comment on my post about moving. I love meeting new friends in our blogisphere and I had no idea you followed my art. I thank you for that with a most sincere heart. I enjoyed looking at your art. The landscape here is so serene and gives such a sense of peace. 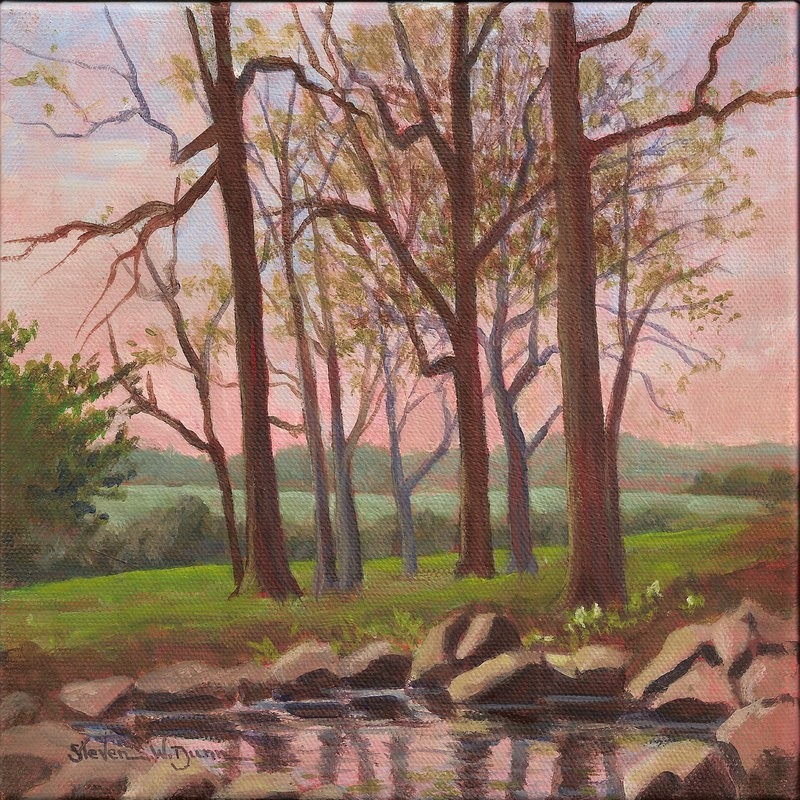 The pale green grass in the distant pasture and the pink sky just seem to dance together. I really love your drawings too on your other blog. Your drawing style is elegant. I look forward to following you as well. Merry Christmas!! Thanks so much for stopping by. I too enjoy blog friends as we discover each other through sharing our creativity. Thanks so much for your kind comments about my creations. With all best wishes for the most joyful Holiday Season ever! "Falling Leaves on Aldersgate Hill"